The army and police have dismissed as falsehoods allegations that heavily-armed soldiers had besieged the home of Kasese Woman MP Winnie Kiiza and her husband Yokasi Bihande in Bwera, Kasese District. In a message posted on social networking sites Facebook and WhatsApp on Sunday evening, Ms Kiiza and her husband Bihande separated posted that their house had been surrounded by soldiers with machine guns and RPGs and called for prayers from relatives. 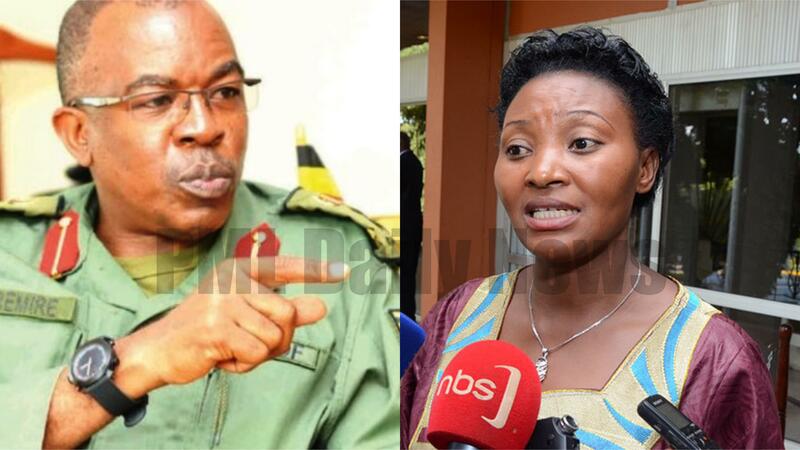 However, in a statement, Defence spokesperson Brig Richard Karemire said there was no such deployment at the home. Brig Karemire revealed that when the allegations first came up on Friday, they sent the Rwenzori East Regional Police Commander and District Police Commander (DPC) to the area but found nothing. “The DPC reached Bihande’s home and did not find anything. Yesterday evening when he made similar allegations, both UPDF and UPF squads reached his home in a very short time. Surprisingly, the home was locked and his manager confirmed to the team that Yokasi Bihande left earlier for Kampala. So Mr Bihande actually posted falsehoods when he was not at his home,” he said on Monday. “Whoever they are after, God is watching. And whoever is in charge of this scheme, it must be put on record that I and my family are Ugandan citizens who are entitled to all citizenry rights. I don’t know whether my husband will be alive by morning,” said the MP.